Getting outdoors is what Hawaii is all about. You’re here to surf, snorkel, take in the sunrise, and relax over a fruity cocktail on a beachside patio. Sometimes, however, the sun sets before you’re ready to let the good times end. Actually, the sound of waves crashing is even more relaxing at night — when starry skies replace crowded beaches and you can sit on a camp chair, cold beer in hand, and gaze up into the heavens. From secluded spots that require a solid pack-in to drive-up campsites in Hawaii’s oceanside state parks, here are the best places to camp across the islands. 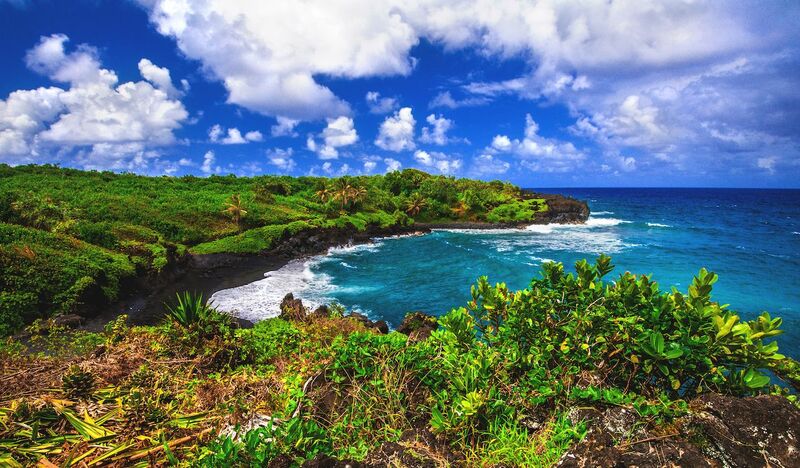 Rocky, volcanic coastline contrasts with lush green fields across Waianapanapa State Park in Maui, creating an ideal hideaway from the two-lane trek of the Road to Hana. Many choose to do both directions of this drive in one day, leaving little time for sightseeing and hiking. Slow down and pop up a tent off one of the island’s oldest trekking trails. You could actually walk the rest of the way to Hana if you so desire. If that’s too much, you’ll have even time to sit and look out over the idyllic coastline and savor this beautiful corner of the world. 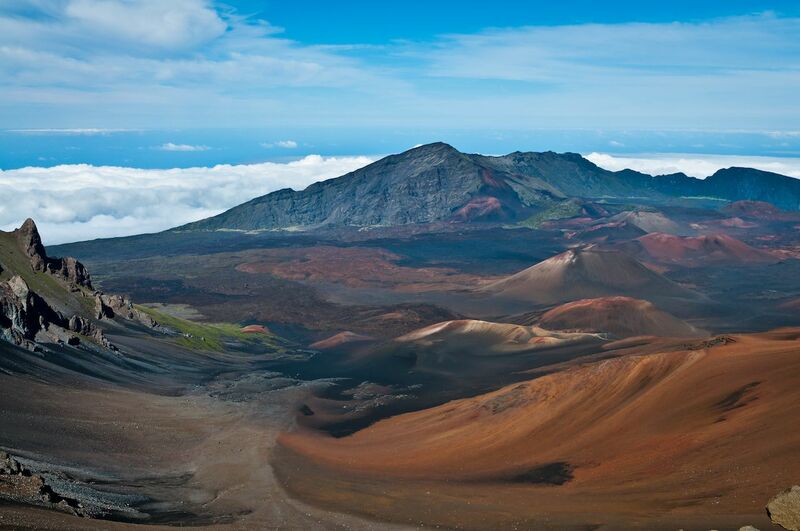 For a completely different scene, head into the Haleakala Backcountry far from organized campgrounds and highways. You’ll feel as though you’re on the moon as you wake up and walk around near your tent. The further up you venture into the park’s Summit District, the better the sunrise gets. Two “primitive campsites” are open to backpackers on a first-come-first-served basis. You’ll need a permit from the park’s Headquarters Visitor Center, but once that’s in your hands you’re free to roam the backcountry. The Halemau`u and Sliding Sands Trails are your best option for access. Be prepared for a strenuous journey, though. The quickest route to the Hōlua Campsite is 3.7-mile, one-way on the Halemau`u Trail while the Palikū Campsite is 9.3 miles down the Sliding Sands Trail. Despite its lunar appearance, the area sees consistent moisture, and as such, rich fields of plant life dot the monotoned landscape, catching your eye from a distance — almost like a mirage. Haleakala National Park is the stuff of dreams for sunrise chasers and anyone who fancies a hike in a landscape that appears virtually untouched, despite Maui’s 2.5 million annual visitors. This backside of the massive Haleakala Volcano, for which the National Park is named, is one of the most remote places in all of Hawaii. You’ll find plenty of space to spread out and camp in peace. Though the famed Pools of ‘Ohe’o are closed indefinitely due to landslide risks, you’ll still find plenty of scenic inspiration in this protected area of streams, trails, and native Hawaiian plant life. Just off the designated camping area is a great two-hour hike. Because so few tourists take the time to venture this far out, you’ll generally have no problem reserving a spot at the campground. 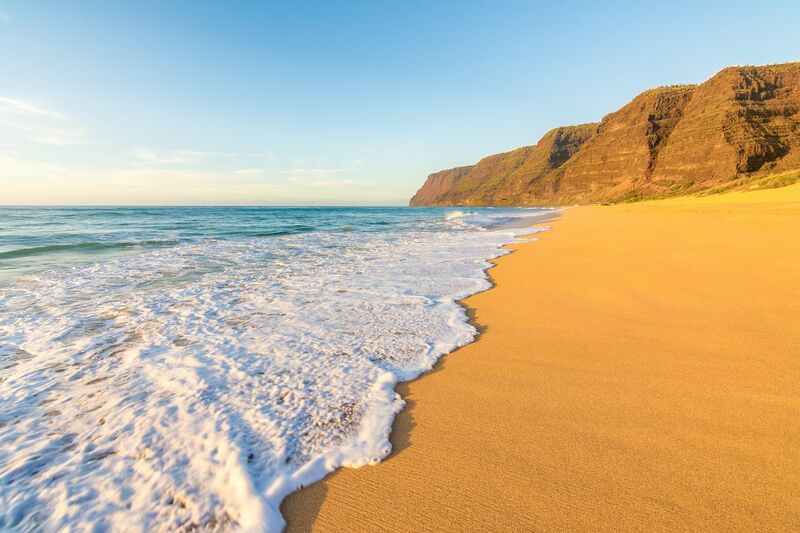 Pristine and secluded white-sand beaches are the big draw to Kauai’s Polihale State Park. You’ll want a four-wheel-drive vehicle because the access road is unpaved and often sandy. One of Hawaii’s most stunning beach parks awaits as your reward, however, serving up unparalleled views of the Nāpali Coast. Camping permits start at $12 and can be picked up here. Kauai is ripe with quiet, secluded spots — but this one is undoubtedly the best one to fish. 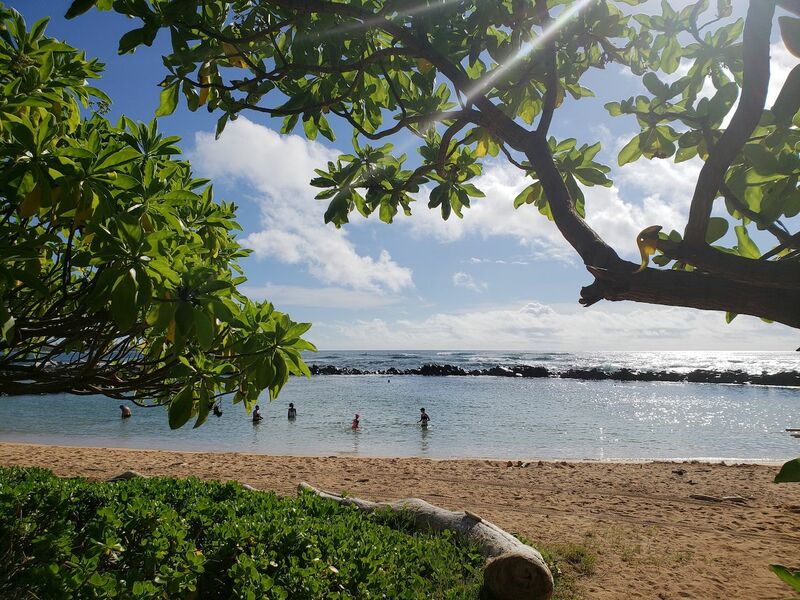 There’s no better place for a family picnic on Kauai than Salt Pond Beach Park, also one of the top spots on the island for snorkeling. The campsite is decked out with tables, showers, and restrooms. A camping permit costs $3 in addition to the per-night cost of $25 for a 10×10 space for most spots. 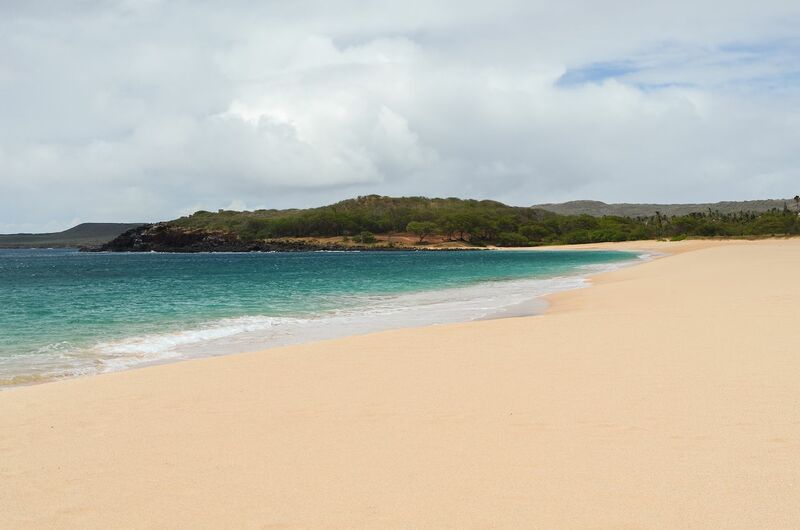 Salt Pond Beach stretches down the coast past Port Allen Airport and has ample space for a swim, SUP, or snorkel. Planning and executing a camping excursion here is easier than many other spots on the island, making it great for first-timers and families with young kids. 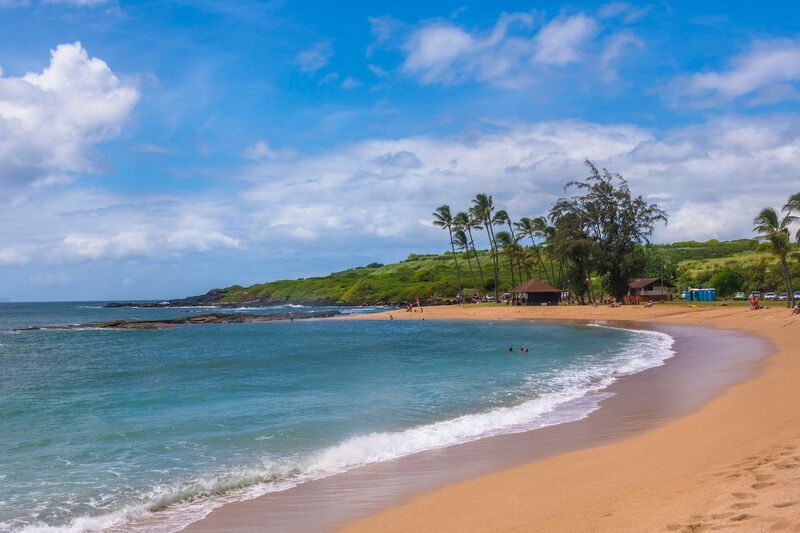 Lydgate Park is a snorkeler’s paradise. The waters in this protected area are calm and alive with colorful sea life. The beach, a popular swim spot for families, can get quite crowded, but this is where camping for a night or two gives you a massive advantage. Wake up early and get out with the rising sun or wait until the crowds go home and enjoy a quiet barbecue and campfire. 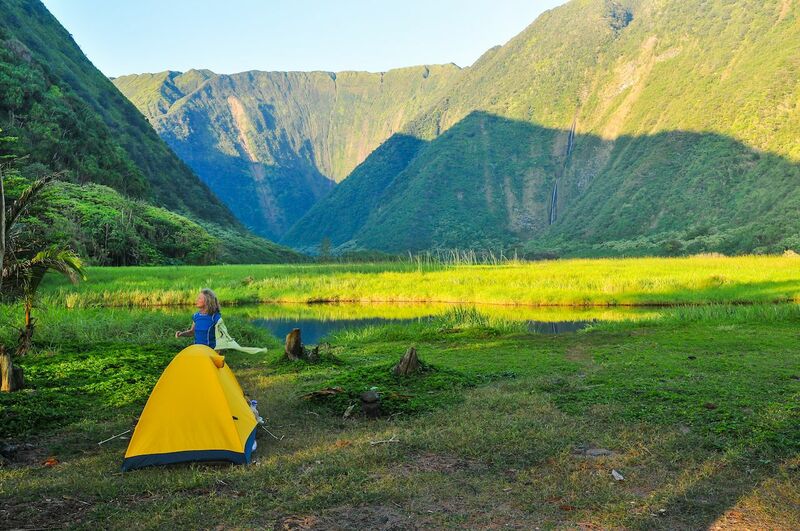 Like other maintained campsites on Kauai, you’ll need a $3 permit to camp unless you’re a resident of Hawaii. Most campsites at Lydgate Park cost $25 per night. Come ready to pack your way into Waimanu Valley because the campsite awaits at the completion of the 7.6-mile Muliwai Trail. To get there, you’ll have to work your way up the side of a mountain from the Waipiʻo Valley floor, a tough trail that tends to rut out following rainstorms. It’s a workout, but the views are among the best the Big Island has to offer. Before you write this one off because it conflicts with your plans for a relaxing vacation, take a closer look at the photo above. The unparalleled views of the valley below the trail are that much sweeter when you have to earn them. Moloka’i is isolated. It’s small. There’s not much happening here when compared to the bustle of Oahu — but that’s likely why you’ve come in the first place. 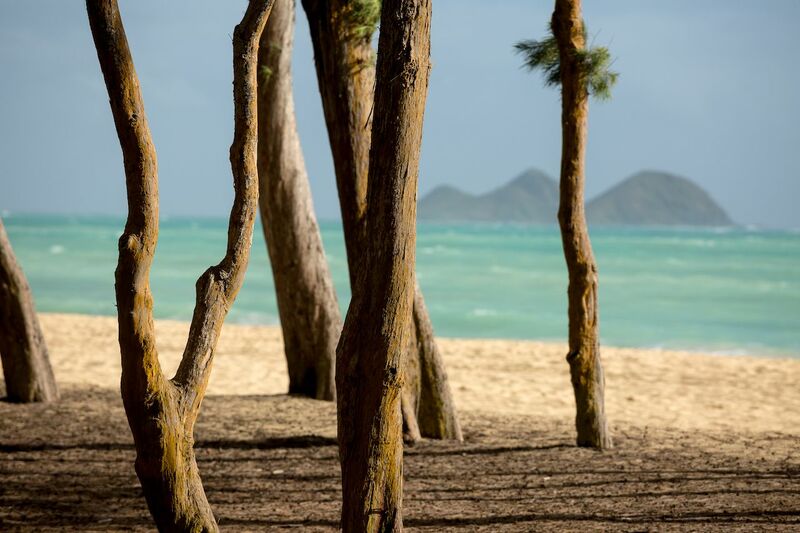 Popohaku Beach Park, set alongside Hawaii’s longest white-sand beach, gives you the chance to take your adventure a step further by putting you at the far end of the island. From your tent, you’ll enjoy views of the restless rip currents that pound the western side of Moloka’i. Because the park is a rough spot for surfing and even swimming can be dangerous when the waters aren’t calm, there’s a strong chance you and your party will be among the only people camping there. Just be sure to stop by the Moloka’i Parks office to get your camping permit before setting in for the night because you’ll stick out like a sore thumb should a ranger drive by. Quick access from Honolulu makes Bellows Field Beach Park an attractive spot for those who’ve just arrived on Oahu. The campsites are well maintained, and you’ll witness one of the best sunrises in the state from right outside your tent on the island’s eastern shore. Reserve your spot right here.